US-2922956 --- Temporary out of stock. Software can only be exchanged for the identical item but cannot be returned for a refund. 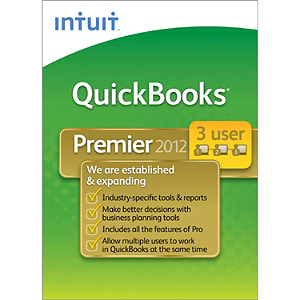 QuickBooks Premier Industry Editions 3-User will bring a new level of efficiency and productivity to your business by encouraging effective collaboration between your QuickBooks users. Multiple users can access the same QuickBooks file at the same time and data is updated instantly. Stay on top of your cash flow with forecasting, budgeting and business planning tools. Use industry specific reports to help you gain deeper insights, spot growth opportunities, and make better business decisions. Plus, get all the advantages of QuickBooks Pro: instantly create invoices, track payments, manage expenses, and produce ready-to-go tax records.